About one American baby in 700 is born with some form of lip or palate cleft—and the percentage is even higher in other parts of the world. At one time this kind of birth defect sentenced a child to a lifetime of social stigma and related health issues. 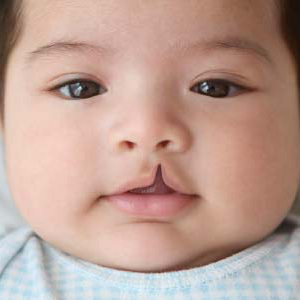 But thanks to a surgical breakthrough over sixty years ago, cleft defects are now routinely treated and repaired. 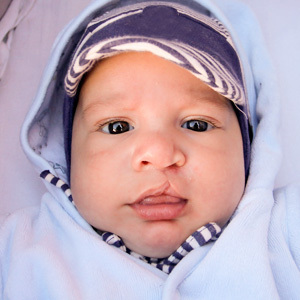 Oral and facial clefts happen because a child’s facial structure fails to develop normally during pregnancy. This causes gaps or “clefts” to occur in various parts of the mouth or face like the upper lip, the palate (roof of the mouth), the nose or (more rarely) in the cheek or eye region. Clefts can have no tissue fusion at all (a “complete” cleft) or a limited amount (an “incomplete” cleft), and can affect only one side of the face (“unilateral”) or both (“bilateral”). There was little that could be done up until the early 1950s. That’s when a U.S. Navy surgeon, Dr. Ralph Millard, stationed in Korea noticed after reviewing a series of cleft photos that tissue needed to repair a cleft was most often already present but distorted by the defect. From that discovery, he developed techniques that have since been refined in the ensuing decades to release the distorted tissue and move it to its proper location. This revolutionary breakthrough has evolved into a multi-stage approach for cleft repair that often requires a team effort from several dental and medical professionals, including oral surgeons, orthodontists and general dentists. The approach may involve successive surgeries over several years with dental care front and center to minimize the threat of decay, maintain proper occlusion (the interaction between the upper and lower teeth, or “bite”), or restore missing teeth with crowns, bridgework or eventually dental implants. While it’s quite possible this process can span a person’s entire childhood and adolescence, the end result is well worth it. Because of these important surgical advances, a cleft defect is no longer a life sentence of misery.